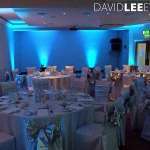 One of Saddleworth‘s Premier wedding and function venue Clough Manor is a real treat light. 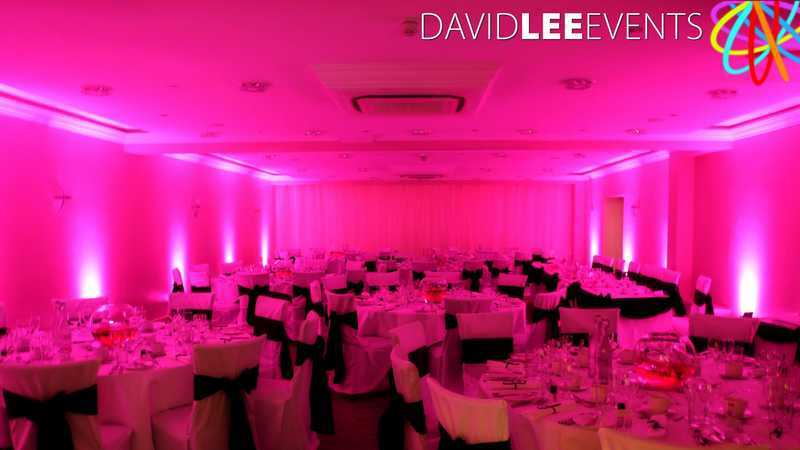 As the main room has no windows all the light comes from the normal room lighting. With the low white ceiling and white walls once I install my uplighting it really creates the WoW effect and transforms the room. 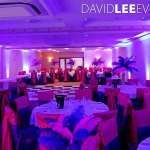 The photos on this page were taken at 3 different events. 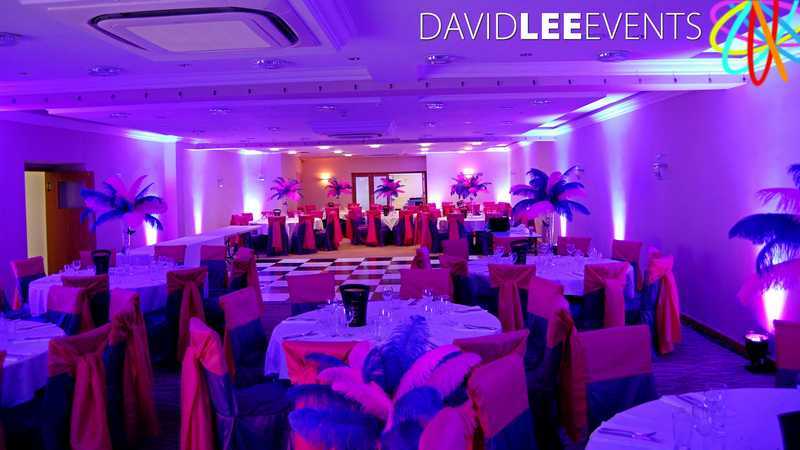 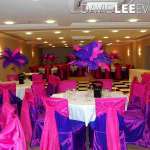 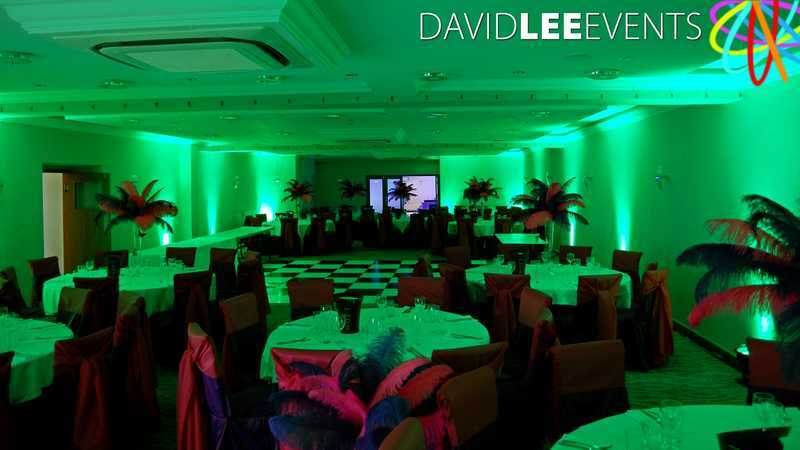 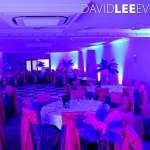 A 50th birthday party with purple uplighting (the one with the feathers). 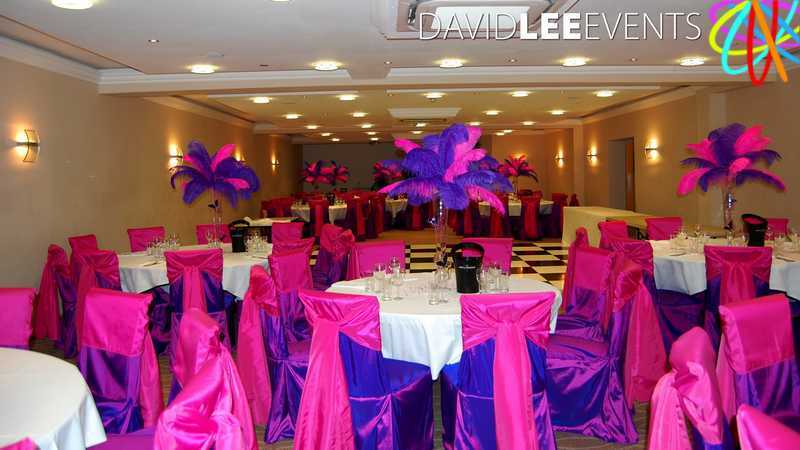 Photo’s taken with different colours to show how it changes the room. 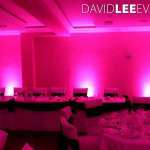 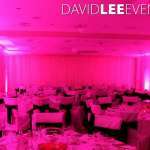 Pink uplighting from a wedding. 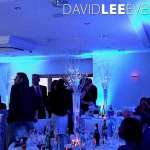 And finally the Blue from a winter wonderland themed wedding. 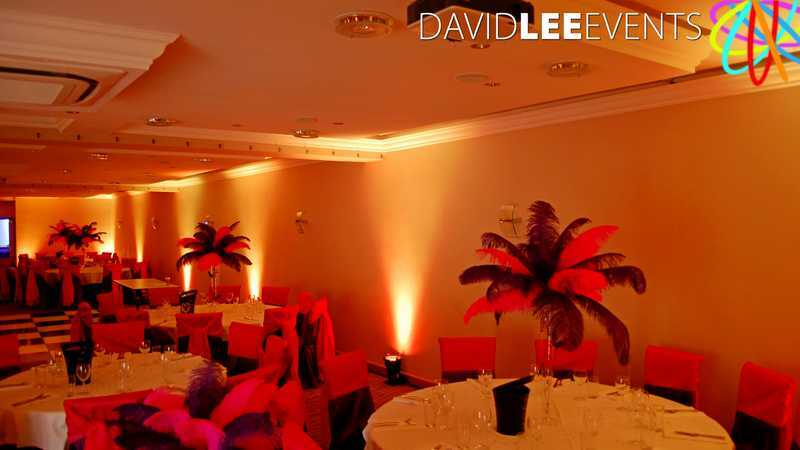 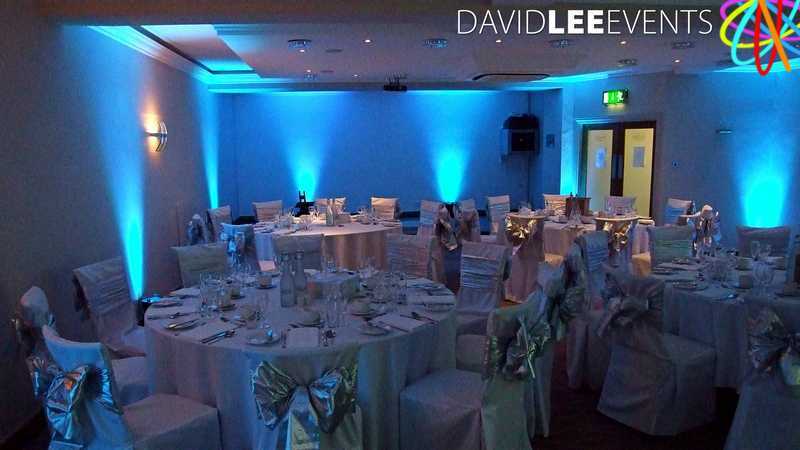 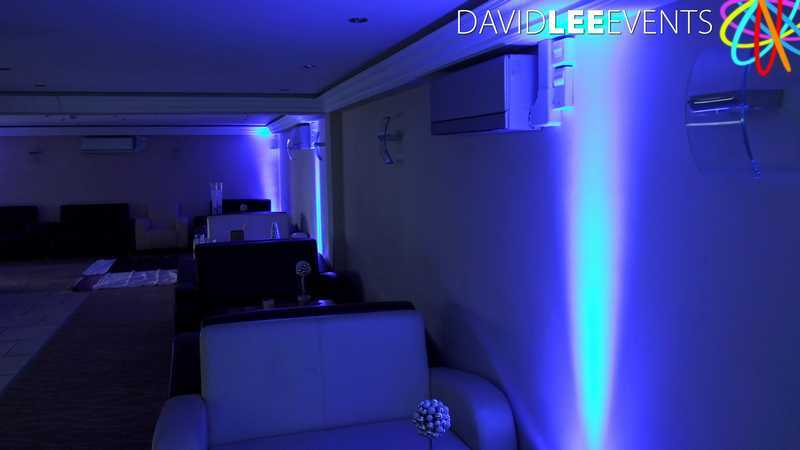 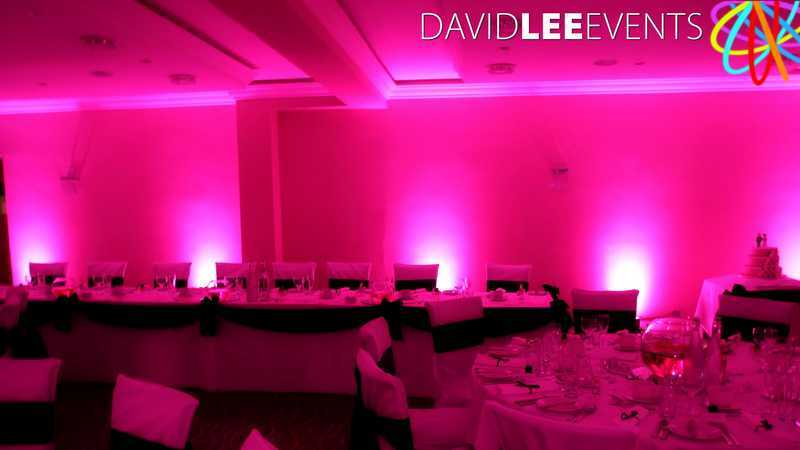 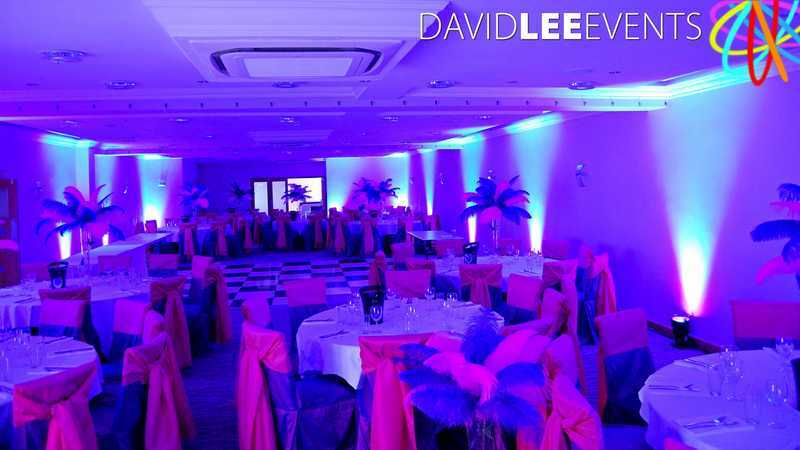 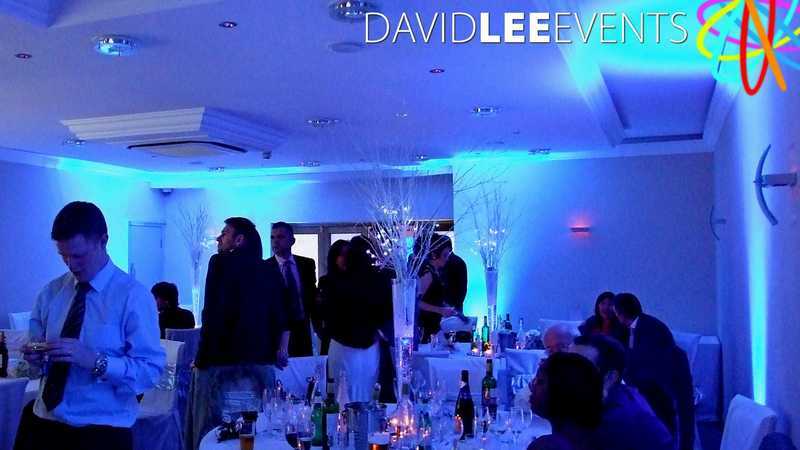 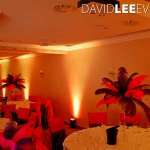 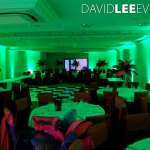 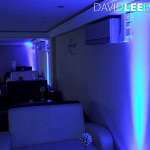 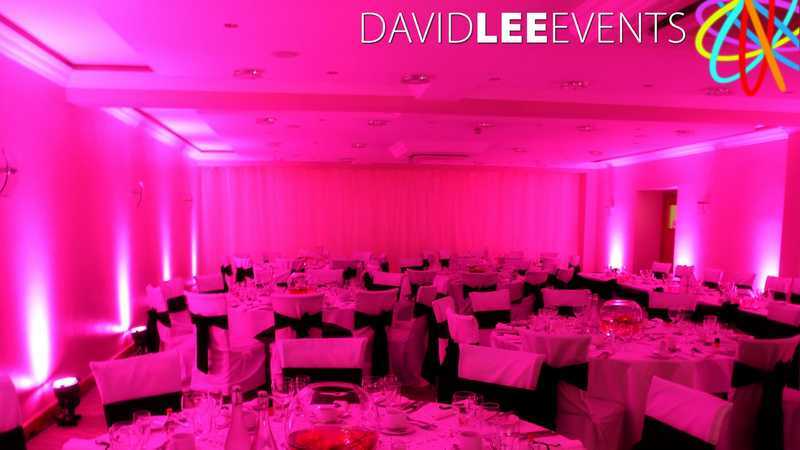 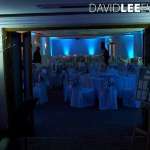 on this occasion I placed blue uplighters around the loung area as well as around the main function room. 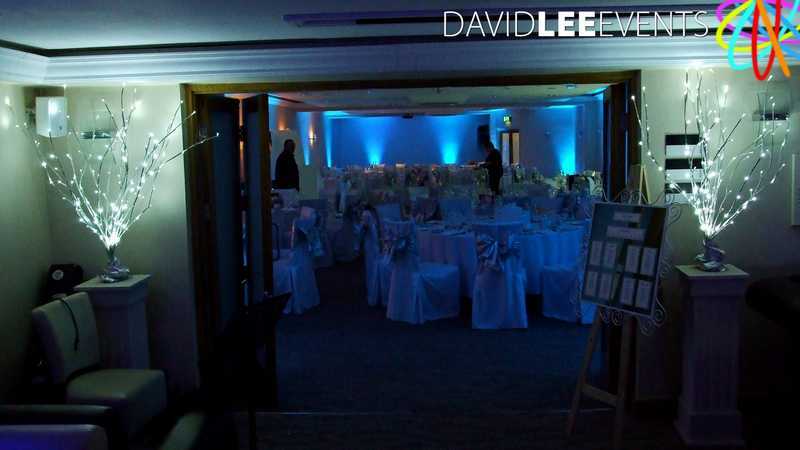 Completely wrapping the venue throughout in the cool blue.